Believe it or not, there are times I forget items in my refrigerator. Whether it’s leftovers hanging in the way back threatening to become a science experiment or fresh strawberries sitting in the front, bursting with brightness begging me to eat them. Zoë wasn’t here this week and I’ve been consumed with my job hunt, so I was neglecting to eat. Thursday morning found me again preoccupied, and not wanting any breakfast. 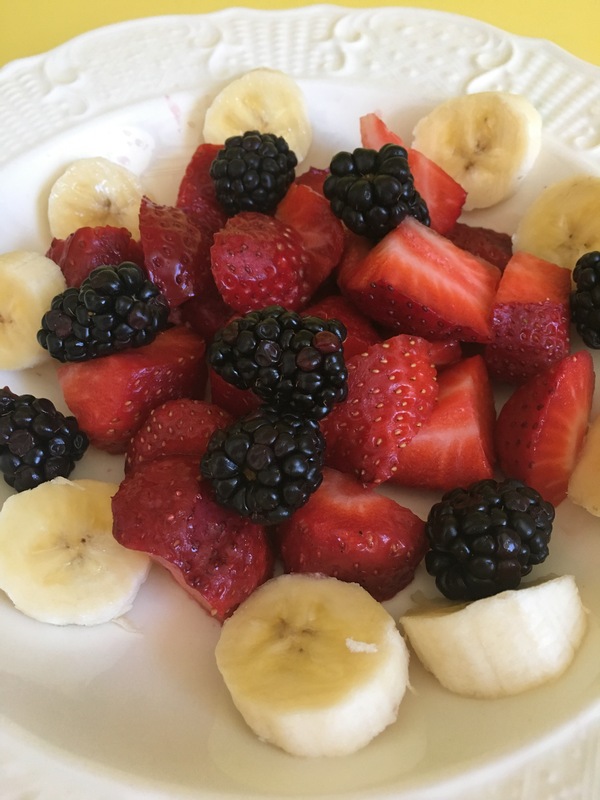 However, the Blackberries and Strawberries were looking so gorgeous and my lone banana was perfectly ripe so I “forced” myself to make a fruit salad. So simple, I just washed my fruit, cut it up, and arranged in one of my shallow soup bowls. Having fruit for breakfast was an exception for me. Most mornings I crave something savory, not sweet, for breakfast. On those mornings when I don’t want eggs, I’ll make a savory sauté of veggies, greens and some protein. I especially love chicken sausage (preferably with no added sugar or sweetener). 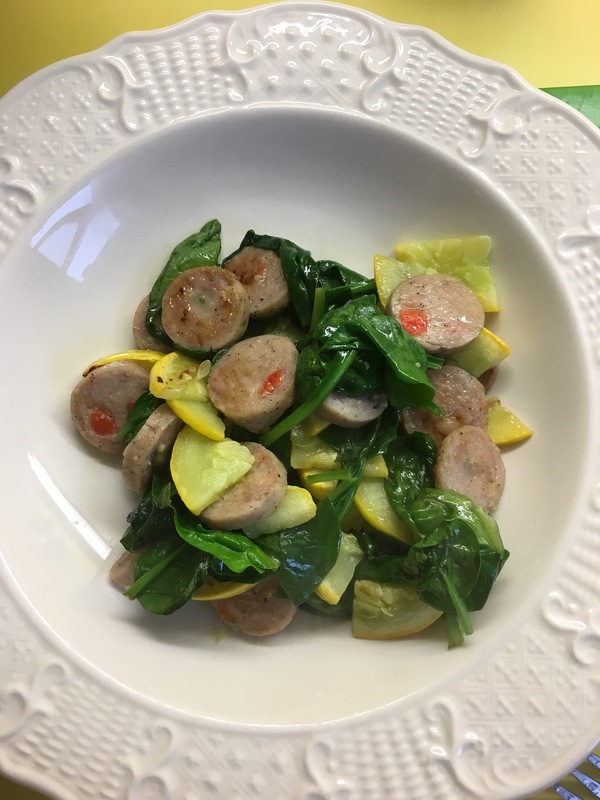 After a couple hours, the fruit was not leaving me satiated, so I cut up one chicken sausage link(this one was Trader Joe’s Italian Style chicken sausages-fully cooked) and sliced some summer squash. Add some coconut oil to a sauté pan, turn to med low and add your ingredients. I cooked for a bit, till my squash was soft and the chicken slices were slightly seared. I then added a handful of baby spinach. Let the spinach wilt slightly and serve. I happened to use veggies I had available in my fridge. This is a regular combo I enjoy. I might also add sliced scallion and cherry tomatoes to the mixture. As the day went on, and I drank more coffee, I felt productive, positive and excited for my date! It was a little hectic as the time for my date arrived. Mr T (my date) was on his way over, my daughter was on her way to my house and my ex-Husband was on his way over to pick up Zoë! Considering it was just date #6 (yes, I’m counting, and if you know me, you know this is a record! ), I wasn’t really ready for everyone to meet just yet. Where was a nip of bourbon when I needed one?! Boy this was hectic!! Within a few minutes, Zoë was inside the kitchen, patiently waiting for her dad and spying out the window while Mr. T, got out of the car and opened the door for me. He and I had just enough time to grab a bite to eat before the 2nd part of our date was set to begin. We settled on sushi at Sushi Express. A tiny slip of a place located on Thayer St. in the heart of Brown University. 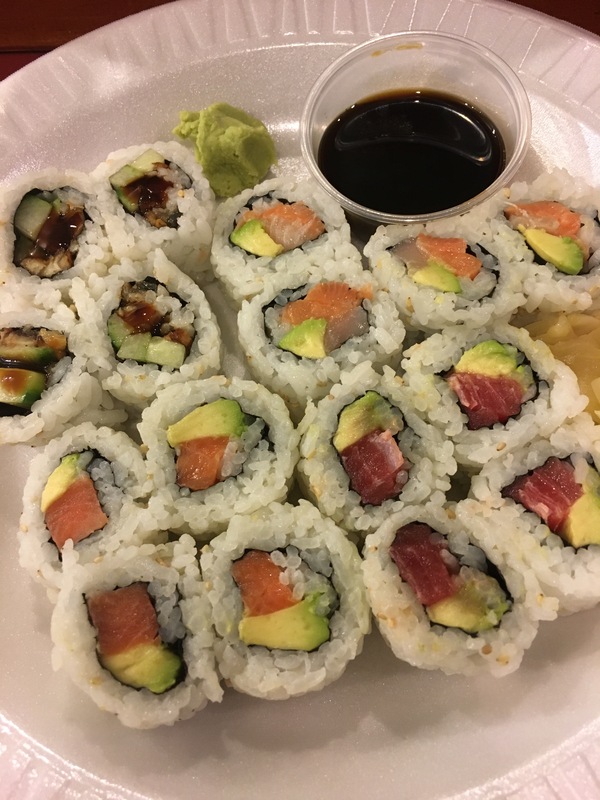 It was a little more casual than Mr. T & I would’ve liked, but the husband and wife team running the space were so nice and the sushi served on a styrofoam plate was delicious. It hit the spot and was all we had time for as we needed to head over to The Granoff Center. Located on the campus of Brown University, it’s a cool, modern, glass coated building housing 2 theatres, a couple of galleries, offices and studios. 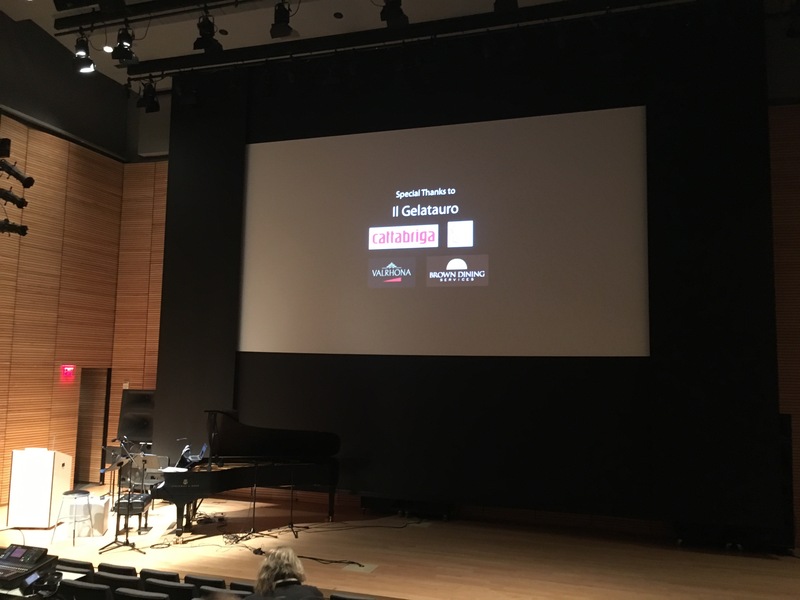 We were attending one night of movies hosted by the Italian Studies Department as part of a festival of rare and restored films from The Cineteca of Bologna, Italy. 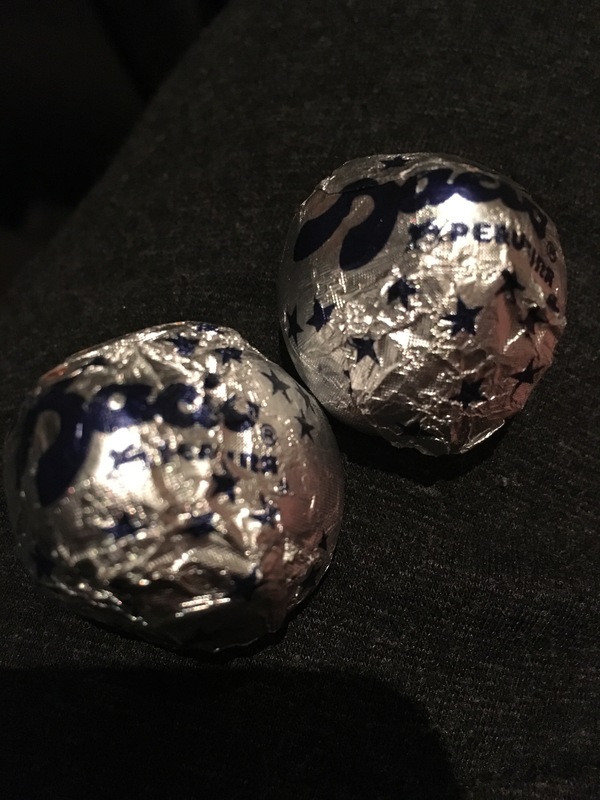 As we dreamed of traveling to Italy to ride a gondola ourselves, I pulled out of my purse, my favorite Italian treat; Baci chocolates. We then were enraptured by the evocative 1915-1917 silent film, Rapsodia Satanica ( Satan’s Rhapsody). After promising to never make a deal with the devil, as the star in the last film did, we both agreed it was a lovely night and we’d love to get together again. He drove me home satisfied in our silence. Sweetly, he walked me to my door and left me with a savory, scrumptious kiss.